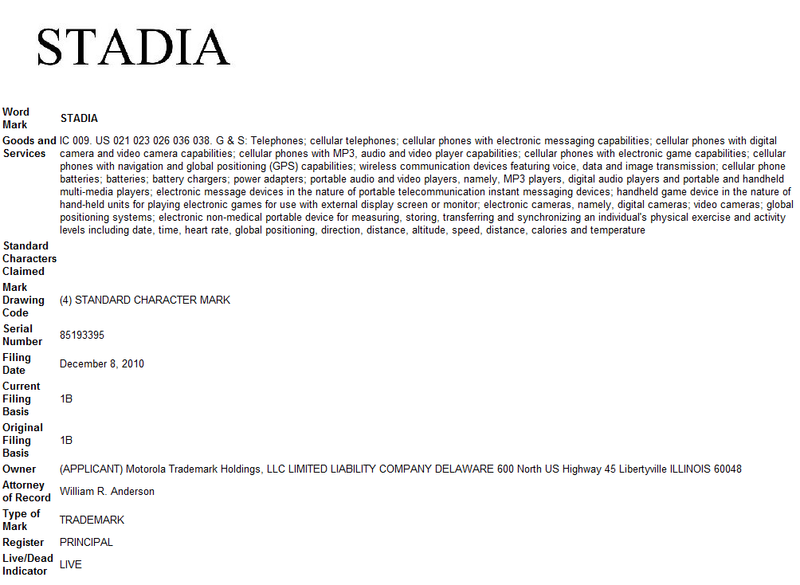 Motorola has filed for a trademark of the word “Stadia” which came as a pretty big surprise to us initially, until we saw the description. This new trademark, more than likely has something to do with Moto’s CEO Sanjay Jha and the remarks he keeps making about the seamless transition of media from phones to TVs and home entertainment systems. We know that Moto’s goal with their upcoming Tegra 2 devices (Olympus, Etna and Everest) is to make an all-in-one multi-media device with extra gaming capabilities and “Stadia” might be the name for those plans. Tegra 2 Everest or Etna streamed somehow to your TV? Sounds like fun to me.